This is the land that Chile could give to Bolivia as restoration for our loss, which Peru could not argue against! 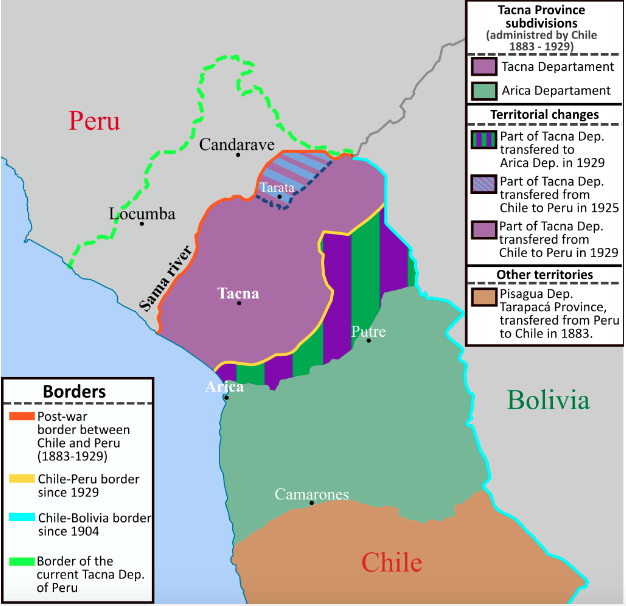 Good reading, what I like the most is the map where land was given back to Peru by Chile, the portion in vertical green and purple stripes could be the land that Bolivia could get as sovereign. 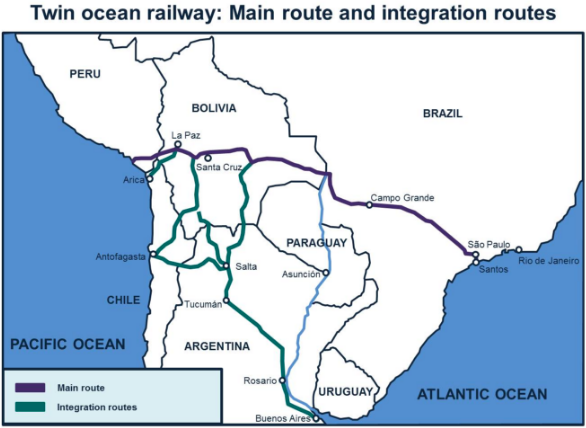 Peru has given that territory to Chile, long after the war, in 1929, thus, they could not argue against Chile giving the land that was never theirs to Bolivia. The above opinion belongs to Bolivian Thoughts. The country’s first-ever indigenous leader just won a Supreme Court rulingallowing him to run for an unprecedented fourth term in office next year following the narrow defeat of a recent referendum on this issue, which he blamed on his right-wing foes in Bolivia’s resource-rich “Media Luna” region of the east. Morales’ opponents have been fiercely against him for over a decade now, sometimes even resorting to violence in a desperate bid to provoke the security services into an overreaction that could then be decontextualized and disseminated to “delegitimize” his government. These forces want to “federalize” the country and thereby allow their hoped-for autonomous regions to retain control over their finances, which would in turn be deprived from the majority indigenous-inhabited mountainous western part of the country. This entry was posted in Bolivia, Economics, Social Unrest and tagged 1879 Pacific war, International Court of Justice in The Hague, invasion, restoration. Bookmark the permalink.